Imagine … many of your ancestors never flew in an airplane. 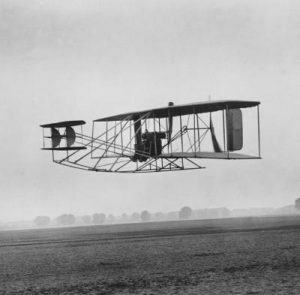 It was not until 1903 that any real type of plane was flown, in this case by the Wright Brothers. So in recognition of National Aviation Week, which is from August 15-21, here is the opportunity to see if your ancestors were involved somehow in the aviation industry. Looking first at one of the most amazing engineering inventions created, human flight, we have Orville Wright and his brother, Wilbur creating the first successful airplane to fly. 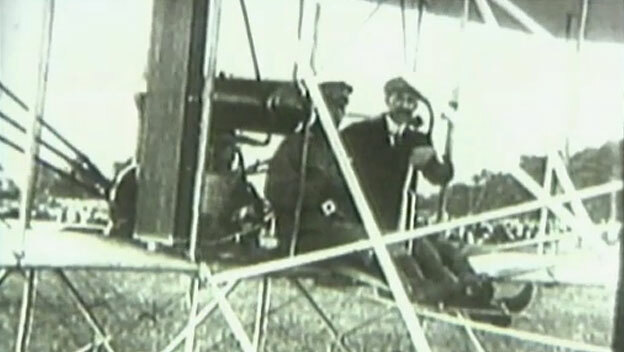 In 1903, Orville piloted the first successful flight that took him 120 feet in 12 seconds. It was the first self-powered flight in history. Orville’s birthday was August 19th, so each year on that date, is time to celebrate what he and his brother did for aviation and to celebrate the achievement of human flight. This holiday of aviation week was first celebrated in 1939. You could well have an ancestor who helped build airplanes, knew how to repair them or even flew a plane. Remember with World War One and Two, many people in the military learned to fly planes, even women. My mother’s cousin, was able to get her civilian flying lessons from Amelia Earhart in the mid-1930s. Check also if in your family’s hometown there were people who flew planes. It could be found in city directories or the local newspapers. Your ancestors may have had contact in that method. Use the FAA database online for Airmen to see if there was a relative listed. Photos: 1903 Wright flight; 1937 Alice Walters in her own plane; and 1909 the Wright Brothers.